Middleburg, VA – Salamander Resort & Spa today announced it has been LEED® Certified, a designation established by the U.S. Green Building Council and verified by the Green Building Certification Institute (GBCI). LEED is the nation’s preeminent program for the design, construction and operation of high performance green buildings. The 168-room luxury resort, which recently celebrated its first anniversary on August 29, achieved the LEED (Leadership in Energy and Environmental Design) certification through a variety of sustainable initiatives, including placing nearly 200 of the property’s 340 acres into a conservation easement, planting 2,000 trees and constructing cutting-edge water and wastewater facilities for the Town of Middleburg. The resort also runs a green housekeeping program and features an innovative on-site Culinary Garden, which provides fresh herbs, fruits, and vegetables utilized on the menus for its entire food and beverage programming including two restaurants and banquet operations. “Since the inception of the development process, it has been our goal to achieve this certification,” said Prem Devadas, president of Salamander Hotels & Resorts, which manages the resort. “Being acknowledged as a leader in sustainability is as important to us as being recognized for high guest service standards and our luxurious accommodations. It was important for us to blend the resort into the area’s natural environment, and also create a true community gathering place for Middleburg residents. Salamander Resort & Spa’s design architect was WATG from Irvine, CA, while the architect of record was Architecture Inc., of Reston, VA. Project Management was provided by MGAC of Washington, D.C., while the general contractor was Turner Construction Company of Washington, D.C. Interior design inspiration was supplied by Thomas Pheasant, and interior design completion was provided by Kent Interior Design of Atlanta. Managed by Salamander Hotels & Resorts and acclaimed as one of the finest new resorts in the world, Salamander Resort & Spa is located in the historic village of Middleburg, VA. Opened in August 2013 and located on 340 picturesque acres, the resort is only one hour from Washington, D.C and just 20 miles from Washington Dulles International Airport. 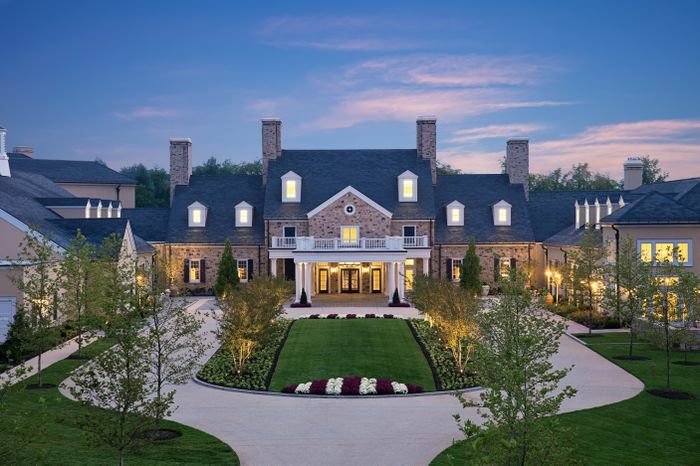 Designed to respect the architectural traditions of Virginia’s countryside, it features 168 spacious rooms and suites that blend into their natural environment. The property features a stunning 23,000-square-foot spa with one-of-a-kind features like outdoor treatment terraces and a spa courtyard, Harrimans Virginia Piedmont Grill, the Gold Cup Wine Bar, a dedicated Cooking Studio, a chef-inspired Culinary Garden as well as the Salamander Tree Top Zip Tour by Empower. The resort also features a full-service Equestrian Center with unique programming, a 22-stall stable and riding arena. All spa, culinary and equestrian facilities and programs are open to the community. For more information, visit www.SalamanderResort.com or call 866.938.7370. With a community comprising 80 local affiliates, more than 18,000 member companies and organizations, and more than 167,000 LEED Professional Credential holders, USGBC is the driving force of an industry that is projected to contribute $554 billion to the U.S. gross domestic product from 2009-2013. USGBC leads an unlikely diverse constituency of builders and environmentalists, corporations and nonprofit organizations, elected officials and concerned citizens, and teachers and students. Buildings in the United States are responsible for 39% of CO2 emissions, 40% of energy consumption, 13% water consumption and 15% of GDP per year, making green building a source of significant economic and environmental opportunity. Greater building efficiency can meet 85% of future U.S. demand for energy, and a national commitment to green building has the potential to generate 2.5 million American jobs. The U.S. Green Building Council's LEED green building certification system is the foremost program for the design, construction and operation of green buildings. Over 100,000 projects are currently participating in the LEED rating systems, comprising over 8 billion square feet of construction space in all 50 states and 114 countries. By using less energy, LEED-certified buildings save money for families, businesses and taxpayers; reduce greenhouse gas emissions; and contribute to a healthier environment for residents, workers and the larger community. USGBC was co-founded by current President and CEO Rick Fedrizzi, who spent 25 years as a Fortune 500 executive. Under his 15-year leadership, the organization has become the preeminent green building, membership, policy, standards, influential, education and research organization in the nation. For more information, visit www.usgbc.org.